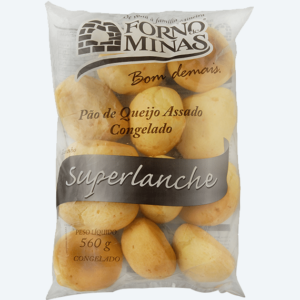 BR4 Trade is the exclusive partner and distributor of world-renowned Brazilian brands in the food industry in Canada. 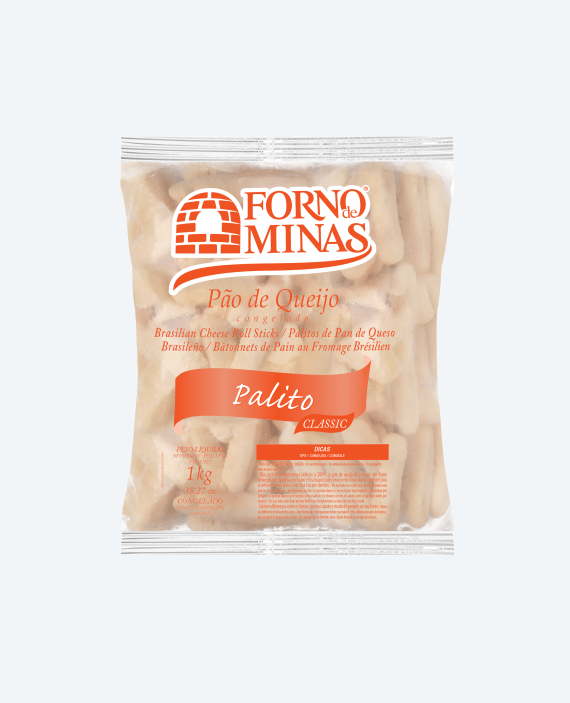 We specialize in unique and hard to find items that bring to your home both the unparalleled flavour and quality that the Brazilian cuisine has to offer. 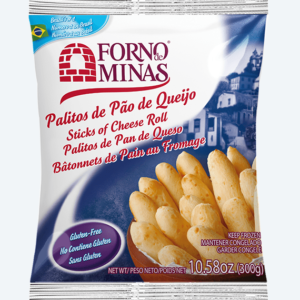 The Forno de Minas Cheese Rolls are available in a sitck version to save you time and make snacking and entertaining even easier. They have the exact same taste as the original Cheese Rolls but are perfect for dips and sauces. Get your party ready in 20 minutes! 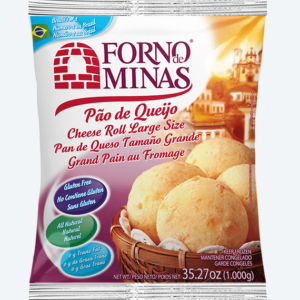 Forno de Minas Cheese Rolls are the best choice! 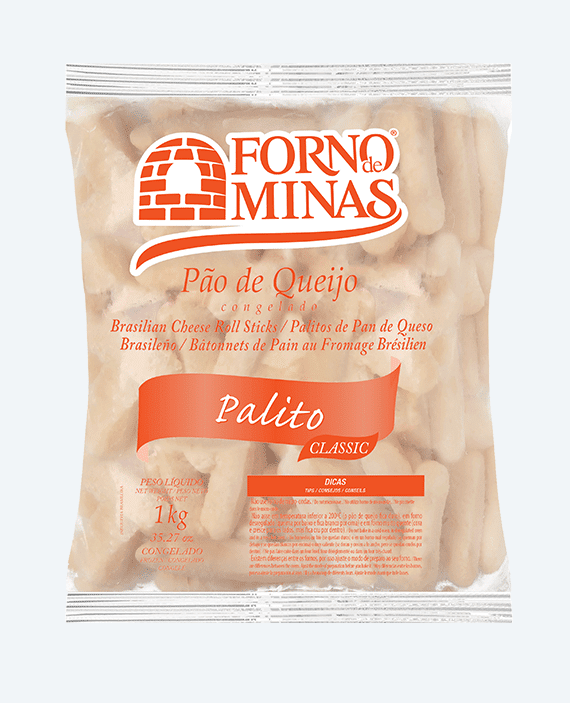 Gluten free: Forno de Minas Cheese Rolls are 100% gluten free because they are made with tapioca starch, which is a grain-free flour made from cassava roots. Preservatives free: The preservation of our products comes solely from its storage process. 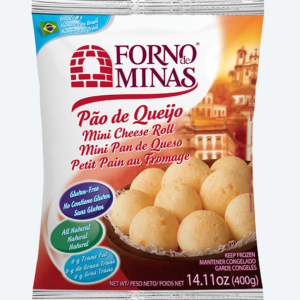 Halal: The cheese rolls by Forno de Minas are rennet-free, made with microbial enzymes. 1. Preheat the oven to 200 °C / 392 °F. 2. Once the oven is preheated to the correct temperature, remove cheese rolls from the freezer. 3. Place the cheese rolls on a baking tray with approximately an inch (1 inch) of space between each one. The use of a non-stick baking tray or parchment paper is recommended. 4. Bake for approximately 20 minutes or until light golden brown. Remove from the oven when the cheese rolls are golden brown. Baking times vary by oven. DO NOT MICROWAVE. ONCE THAWED, DO NOT REFREEZE. Tapioca starch, milk, Minas cheese (part skim milk, salt, cheese cultures, microbial enzymes), liquid whole eggs pasteurized, vegetable oil (contains one or more of the following: soybean oil, corn oil, sunflower oil, cottonseed oil), parmesan cheese (pasteurized milk, bacterial cultures, calcium chloride, salt, microbial enzymes), butter (cream, salt) and salt. CONTAINS milk, egg and soy ingredients. GLUTEN-FREE. Not a significant source of vitamin A, vitamin C or Iron.